This full-keeled cabin boat is the largest 28 foot fishing boats in the industry. 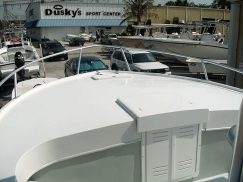 She's DUSKY's flagship and boasts a full 11'3" beam, three feet wider than Dusky's 27 footer. 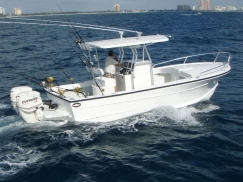 Every inch of the Dusky 28XL is a state-of-the-art center console, cuddy cabin fishing machine. 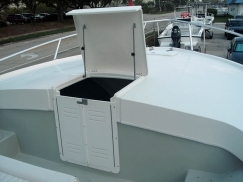 Her traditional sturdy hull, still hand crafted with more marine fiberglass than any other boat in her class, will handle rough seas with the best of the big boys, while her exceptionally broad beam will provide comfortable stability when the blue water gets abusive. 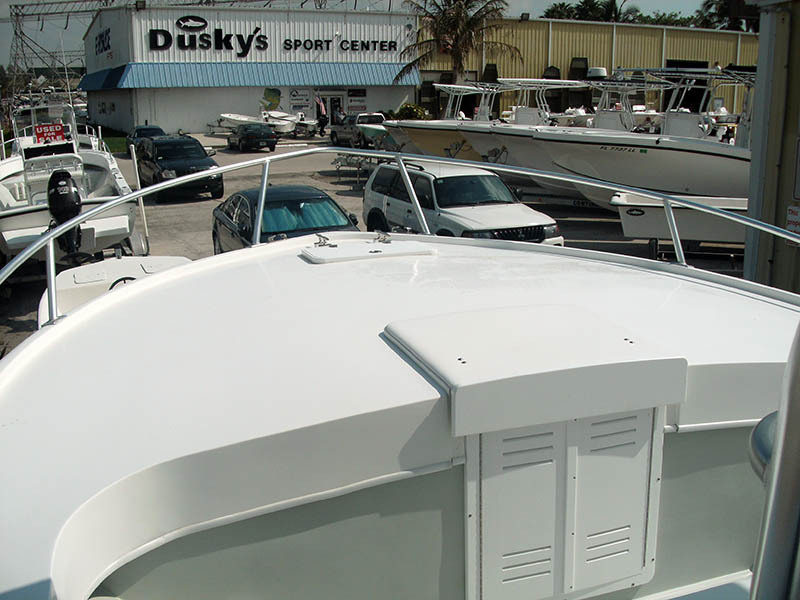 Dusky 28XL is equipped with the Dusky Drive; a unique fiberglass outboard bracket with integrated swim/dive platform. The Dusky Drive improves maneuverability and stability to your boat while allowing a full transom for safety. 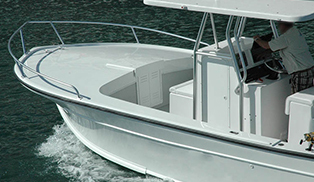 Out where the seas build up as high as the calcuttas, master mariners and master anglers alike will appreciate the stability, security and space afforded by Dusky's 28 foot fishing boat. 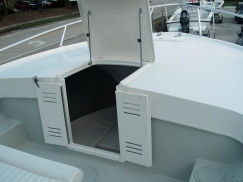 Perfect for use as a dive boat, fishing boat, cruising boat, island hopper, tug boat, charter fishing boat or work boat. Hull weight (approx. ): 7500 lbs. Std. Fuel capacity: 200 Gal. 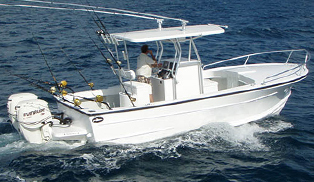 The Dusky 28XL is perfect for use as a dive boat, fishing boat, water skiing boat, offshore boat and cabin boat.